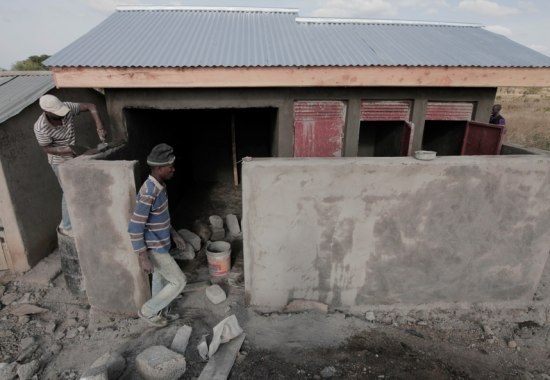 Furthering our past support of school renovation projects in Tanzania, the Colourful Life Foundation is currently funding the building of quality toilet facilities at two primary schools in Rural Arusha District. Research shows that improving WASH (Water, Sanitation and Hygiene) in schools improves attendance, health and cognitive development, increases girls’ participation, establishes positive hygiene behaviours and promotes the transference of better WASH skills and knowledge to the children’s families and community. Schools in Sub-Saharan Africa often suffer from very poor WASH facilities due to a lack of financial resources and prioritisation of the issue. The two schools – Olchoruvus and Olkokola – had very poor toilet facilities before the project began. There were far too few toilets for the number of school children and the toilets were open pits without running water, resulting in an extremely unhygienic environment. The new facilities are being built to a high-quality standard complete with running water to enable good hand washing and hygiene practices.